Today’s letters go out to two letter lovers—one who eschewed technology for forty days (hats off, Quinn) and a veteran pen-pal. Firstly, your full name is awesome—you must get that all the time. She also told me about your grand plans for sweet potato fries. Success? I have a mandolin and consider myself a fairly decent cook, but I’ve yet to master the fry technique. Mine always cook unevenly and are never crunchy enough! If you have any insider tips, I’m all ears. P.S. I hope summer is treating you well and the beard is winning hearts and minds, wink. I am always delighted to meet like-minded letter lovers! I love that you have carried on so many correspondences over the years. Why did you stop?! I’m sure your letters were little bits of cheer for their recipients, especially your grandfather. So tell me, what are your favorite stationery lines? I’m always looking for new paper discoveries. I’ve been finding all sorts of gems on etsy lately. 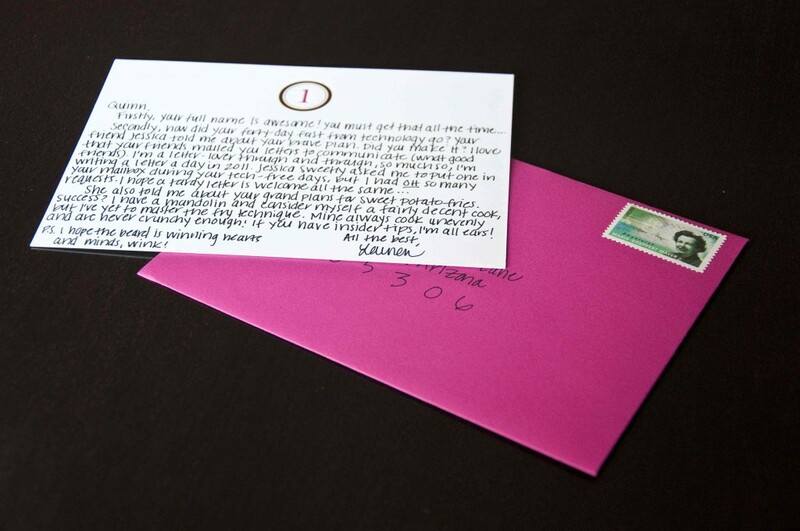 I hope this here letter gives you a little nudge to start using your pretty paper again! The world is a better places with letters! It’s not for me to tell you how wonderful it is to receive a letter. I think the delayed letter from you spoke to exactly why we do this – because it happened to land on a day I needed it the most. Receiving this on any other day would have been a crime. So your tardiness is excused. I would write you back, but I’m sure at this point you’re buried in a backlog of letters. I do have many questions for you – like what kind of pen you use? Anyways, I love your blog and how you live. Oh I’m so glad Quinn! 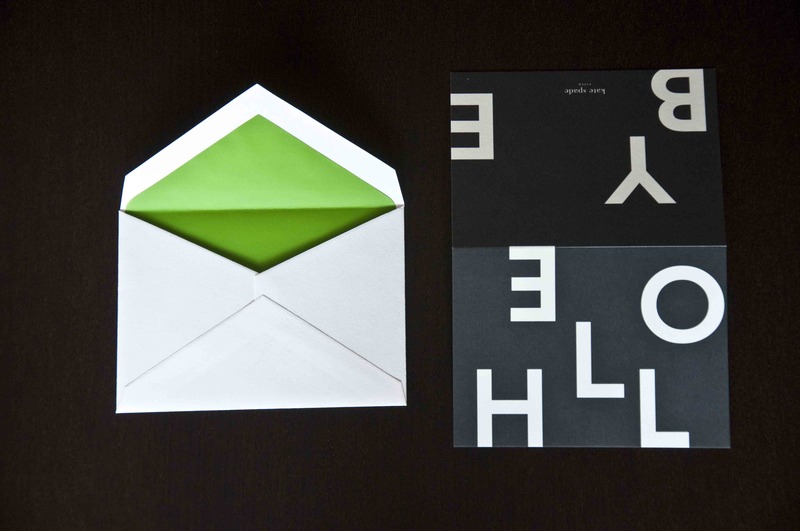 And you can always send me letters… I love mail and am of the firm belief the more, the merrier! I have loads of pens, but the one I used for your letter is one of my favorites. It’s a MUJI gel pen and it is fantastic! You will never want to write with another pen again, scouts honor. Here’s a link of where to buy: http://www.muji.us/store/stationery/pen-pencil/gel-ink-ball-point-pen-0-5mm.html. All the best!